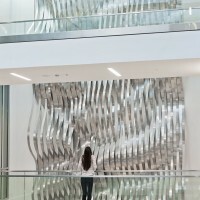 Draper is a permanent public art installation by Rob Ley of the art and design studio Urbana. 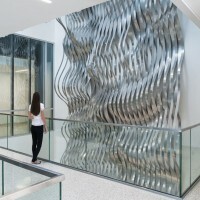 Draper is a permanent installation commissioned by Florida State University (FSU), Tallahassee for the College of Visual Art’s William Johnston Building. 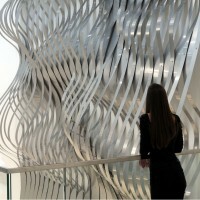 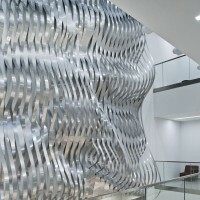 Composed of hundreds of unique stainless steel strips, the project is an experiment in how mass and gravity, along with a force-feedback fabrication technique, can create a carefully tuned lattice structure. 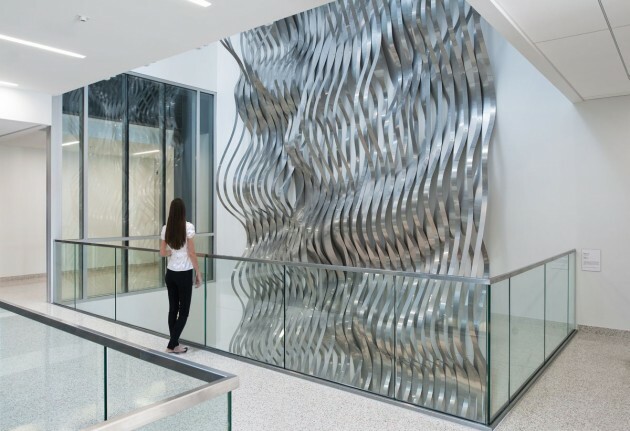 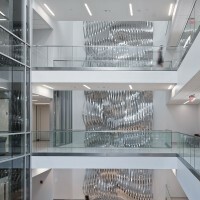 At seventy-five feet in height, Draper passes through five separate floors and sub-departments of the school, offering each level a unique view of the piece and its own distinct identity. 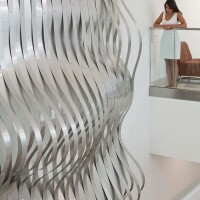 Visit the Urbana website – here.